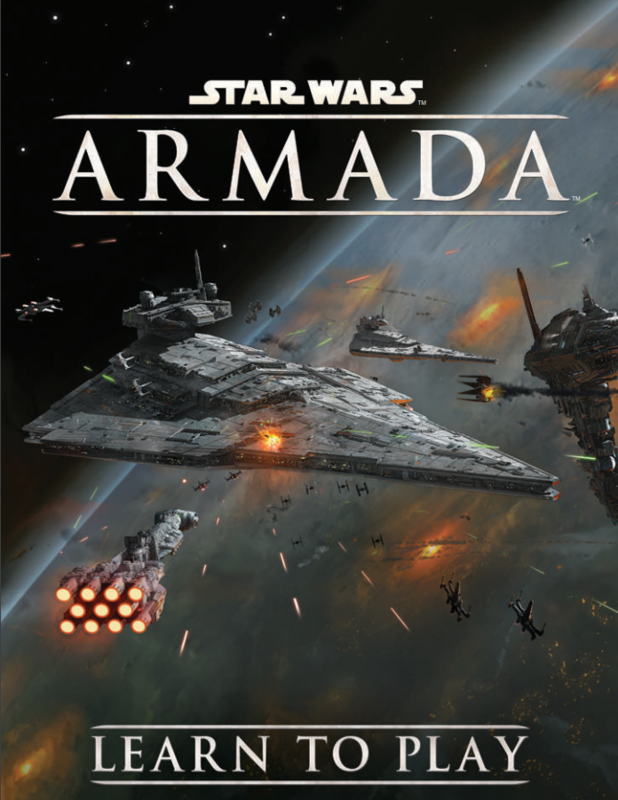 Star Wars: Armada is a two-player strategy game from Fantasy Flight Games with miniature figures that takes you to an epic space battle between two commanding admirals. Use your squadrons to inflict damage against the enemy ship and program the shields to fend off enemy fire – don’t forget to make the needed repairs if you want them to stay operational! All in all, this is a game that will surely test your ability to strategically plan for the future and make moves 2 turns in advance. Do you have what it takes to make the right calls? According to the game’s official Wikia page, the core set was released on the 27th of March 2015 (the game was announced on the 8th of August 2014). Due to its popularity, additional content was released afterwards, conveniently called “waves”. Basically, these are expansion sets that add new content and mechanics to the game. Stay tuned, as we’re going to take an in-depth look into each of these in the sections down below. Assume the role of a Rebel or Imperial admirals and direct the fleet into explosive conflict. Before playing your very first game, you’ll also have to assemble the pieces together, for which the guidelines are provided in a booklet that you receive with the game. According to this blogger, it only takes a game or two to get the hang of it. To attack, declare the target and roll the dice. Whenever a ship is activated, its owner reveals its top command dial. During the command phase, the players simultaneously assign the command dials and place them face-down on their ships. The complete Learn To Play pdf rulebook with illustrations is available for detailed instructions. Fantasy Flight Games says that the Rules Reference, unlike the Learn to Play booklet, does not teach players how to play the game. They advise that players should first read the Learn to Play booklet completely and play the learning scenario, using this Rules Reference booklet only as required. In Star Wars Armada, seeing a ship get obliterated in a single wave is a rare sight. In the event it does end up happening, it’s certainly not going to without a massive concentrated attack. With that in mind, you can use one of your ships to bait fire from the opposing side, and maybe get an opening for a massive swing. The order your ships activate in is very important. They fire before moving, so setting up a shot is best done with your last activation. After that, simply use that very same ship as the first activation on the turn that comes after. The navigate command is your friend. It just so happens to be one of the most useful commands in the entire game, so learning how to drive will certainly prove useful. This is one of the things that beginners often tend to overlook. Don’t put too much effort into upgrades. That doesn’t mean they’re unimportant, just don’t fall into the beginner trap of spending all your resources on maximizing the upgrades, since getting a firm grasp of the core mechanics will get you much further in general. – Victory-class Star Destroyer. One of the most powerful starships of the Imperials is now at your command. It comes with fourteen upgrades, tokens, command dials, and more than a dozen upgrade and ship cards. – CR90 Corellian Corvette. The CR90 is a versatile little ship and a nice addition to the Rebel fleet. With it, you also receive ship cards, a command dial, and action tokens. – Nebulon-B Frigate. Cleverly maneuver this Rebel warship to crush all who dare stand in your way. The pack also contains two unique title cards, eight upgrade cards, ship cards, dials, as well as action tokens. – Assault Frigate Mark II. This is one of the most heavily armed ships of the Rebel forces. With it, you also get action tokens, maneuver dials, ship, and upgrade cards. – Gladiator-class Star Destroyer. In the right hands, this Imperial patrol ship can be a deadly weapon indeed. Also features a miniature, action tokens, maneuver dials, and upgrade cards. – Rebel Fighter Squadrons. Some of the most historic battles in the galaxy have been decided by this iconic Rebel ship. Included come the upgrade cards, maneuver dials, action tokens, and eight sets of miniatures. – Imperial Fighter Squadrons. Designed for speed and maneuverability, these Imperial units can quickly demolish enemy fighters with ease, especially in big numbers. The pack also contains action tokens, maneuver dials, a ship, 8 sets of miniatures, and upgrade cards. – Imperial-class Star Destroyer. Comes with one miniature, action tokens, maneuver dials, and upgrade cards. – MC30c Frigate. It contains a detailed miniature of MC30c Frigate, one of the most powerful battleships in the galaxy. With it, you’ll also receive ten upgrade cards, two command dials, and all the tokens needed to get this rebel ship into battle. – Home One. Featuring an MC80 star cruiser, the Rebel Alliance gets another powerful ally. With it, you’ll also receive fourteen upgrades, two ship cards, and three command dials. – Rogues and Villains. Featuring 8 detailed miniatures (4 ships for each side) and a slew of maneuver tokens and dials, you’ll be able to race to the battlefield with new power under your command. – Imperial Raider. Featuring one miniature, action tokens, and maneuver dials, the Imperial fleet will surely benefit from the boost. – Imperial Assault Carriers. Containing 2 miniatures, action tokens, and maneuver dials, 8 upgrades. With this, your Imperial fleet will surely reach a new level of power. – Rebel Transports. Relay commands to your ships with 8 upgrades, and two GR-75 medium transport miniatures like never before. – Interdictor. Featuring as much as 14 upgrades, ship, upgrade cards, maneuver dials, and action tokens, the Imperials strike back with a fearsome blow. – Liberty. The MC80 cruiser is one of the Rebel’s trademark units, and with it, you also receive maneuver dials, a new commander, two ship cards, fourteen upgrades, and 3 unique titles. – Phoenix Home. The small battleship that comes with it may be small in size, but in terms of giving you the ability to command your fleet, it’s unparalleled. With it, you receive ten upgrade cards, two ship cards, the dials, and all the tokens you need. – Imperial Light Cruiser. The communications and blockade ship is the bread and butter of Imperials, and with it, you also receive action tokens, maneuver dials, as well as plenty of upgrade cards. – Rebel Fighter Squadrons II. With this expansion, the Rebel Alliance gets a whole new ship card, as well as plenty of upgrade cards, sixteen miniatures, and a maneuver of dials. – Imperial Fighter Squadrons II. This pack features 16 miniatures, upgrade cards, tokens, maneuver dials and everything you need to show the Rebel scum who’s in charge. – Hammerhead Corvettes. A unit that’s typically used for transporting others, but is not to be underestimated in the face of conflict. The pack also contains two ship cards, fourteen upgrades, and everything you need to dominate close range combat. – Imperial Light Carrier. A mobile starfighter plus ship cards, tokens, upgrade cards, and maneuver dials. – Chimaera. Want to put the Grand Admiral Thrawn’s flagship into action? Well, now you can. The pack includes seventeen upgrades, six ship cards, three miniatures, as well as maneuver dials. – Profundity. Take the control wheel of Admiral Raddus’ flagship and enjoy the action tokens, maneuver dials, and upgrade cards that come with it. This is an app for building your fleets which you can access at any time. This is an accessory expansion. It comes quite in handy if you’ve managed to lose your dice set. 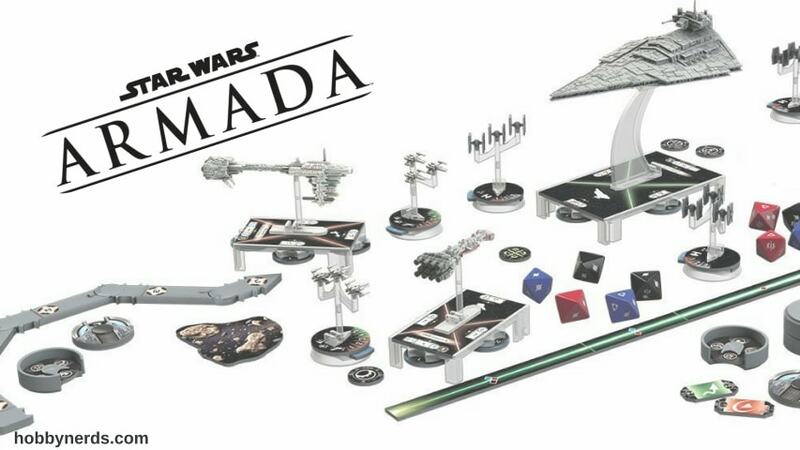 There are many Star Wars Armada tournaments since this can be quite a competitive game. You can participate in the Store Championships, Regional Championships, and, if you’re good enough, even the World Championships. If you’re interested in the competitive aspect of it, here’s a good resource you can study.